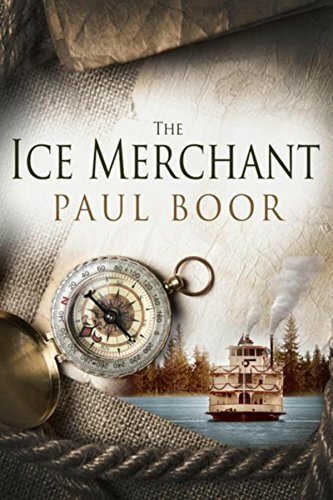 The Ice Merchant, the latest riveting thriller by Dr. Paul Boor, goes back in time to 1889 Galveston to explore the dark history of trafficking in corpses to be used in the medical schools that were popping up across America. In a tale that combines the perfect blend of intrigue, thrills, romance and human weakness, this plot makes for one heck of a page-turner! Nicolas Van Horne, a shrewd Yankee ice merchant, is happy with his profitable side business. On this particular trip, his first delivery for Galveston’s new Medical School, he’s carrying human cadavers wedged between huge blocks of ice deep in his ship’s hold. When he becomes enthralled with Galveston’s lady scientist Rene Keiller, he makes the gruesome discovery that he’s been trafficking in murdered boys! With Rene’s help, Nicolas eventually solves the puzzle behind his grisly cargo. But it’s not quite that simple; he must first overcome his addiction to morphine, even as he becomes completely enmeshed in Rene’s experiments on the most dreaded killer of their time…Yellow Fever. Dr. Boor is a world-renowned, Harvard-trained pathologist and scientist whose contributions to science are highly respected. He was the recipient of both a Young Investigator and an Established Investigator Award from NIH’s (National Institutes of Health) Heart, Lung and Blood Institute. Passionate about writing, the credibility he brings to his riveting storytelling is making Dr. Boor a hot contender in the thriller and suspense genre. For more information, please visit: www.theicemerchant.com. In the newest thriller by bestselling author Jeffrey S. Stephens, CIA agent Jordan Sandor is on a mission that blends non-stop suspense, intrigue and danger. Rogue Mission (Post Hill Press, April 26, 2016) takes readers on a mission more complex and with more at stake for Sandor than any he has ever faced. From Bermuda to the United Kingdom, from France to the deserts of Iraq, Jordan must face down villains both known and unknown, recognized and hidden, as he struggles to prevent the deaths of tens of thousands of innocent people. Needing help as never before, Sandor calls upon his usual group of talented associates, as well as top CIA analyst Beth Sharrow, a former lover still willing to risk her life and career to help Sandor. The action begins on the first page and does not end until the explosive climax. 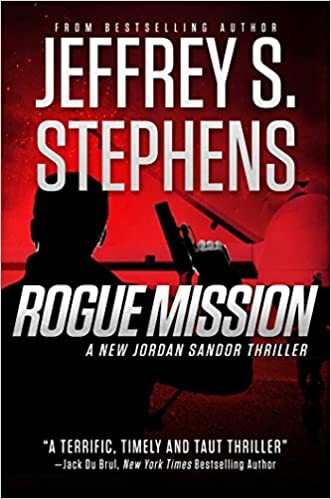 Jeffrey S. Stephens is the author of the Jordan Sandor series, which also includes Targets of Deception, Targets of Opportunity and Targets of Revenge. A native of the Bronx, Stephens now lives with his wife Nancy in Greenwich, Connecticut, where they raised their two sons, Graham and Trevor. Book Signing To Celebrate Launch of Jordan Sandor’s Fourth Thriller! The options for latching onto a great book – whether a classic by Victor Hugo or the latest bestseller by John Grisham – appear limitless these days. Printed books remain popular, but e-readers provide additional choices. We can still visit bookstores and libraries, but a seemingly infinite selection of titles is available for ordering online. And, despite periodic worries about the reading habits of the young, a Pew Research Center study released last year showed that young adults, ages 18-29, were the group most likely to have read a book in the previous 12 months. It’s not surprising people are still eager to lose themselves in a richly plotted novel, a well-researched biography or any title on a favorite topic, says Darlene Quinn, an author whose latest novel, “Conflicting Webs” (www.darlenequinn.net) is the fifth in her standalone Webs Series, which features stories steeped in family issues in today’s rapidly paced world. • Relaxation factor. After a busy day, down time with a book can be a rewarding way to segue into bedtime. “Putting up your feet with a cup of tea and a timeless story can make the stress melt away,” Quinn says. “What better way to unwind?” The beauty of ending the day with a good book is that you can still have mental stimulation even as you seek a distraction from personal issues, work concerns and the unexpected complications of life. • Universal appeal, personal experience. People can read the same book, yet come away with an experience that is distinct for them, Quinn says. That puts her in agreement with Edmund Wilson, the American literary and social critic, who observed that “no two persons ever read the same book.” Quinn says we often alter what is written – or at least our interpretations of it – to reflect our situations, personalities and opinions. • Tech savvy welcome, but not required. E-readers are popular these days and it’s not hard to understand why, Quinn says. They bring numerous benefits to the reading experience, such as the ability to instantly download new books or change the type size on the screen. But tried-and-true print versions of books remain strong and it’s nice to be able to grab a book without charging its battery or bringing along a power cord, Quinn says. “And as far as I’m concerned, you just can’t beat the intoxicating aroma of fresh book pages,” she says. • Lessons within the pages. The opportunity to expand our creativity and knowledge is what reading is all about, Quinn says. Name a topic and a book exists that can help you learn more about it. The options are numerous – music, history, art, geography, exploration, science, nature, religion and more. “My goal has always been to be a lifelong learner and books are a fantastic asset for achieving that,” Quinn says. John Green, author of such works as “The Fault in Our Stars” and “Paper Towns,” has said, “Great books help you understand, and they help you feel understood.” Quinn says that might be the best reason of all to read. “The feeling that someone else knows our struggles and relates to our lives can give us a sense of completeness, and help us realize we aren’t the only ones who feel or think the way we do,” she says.